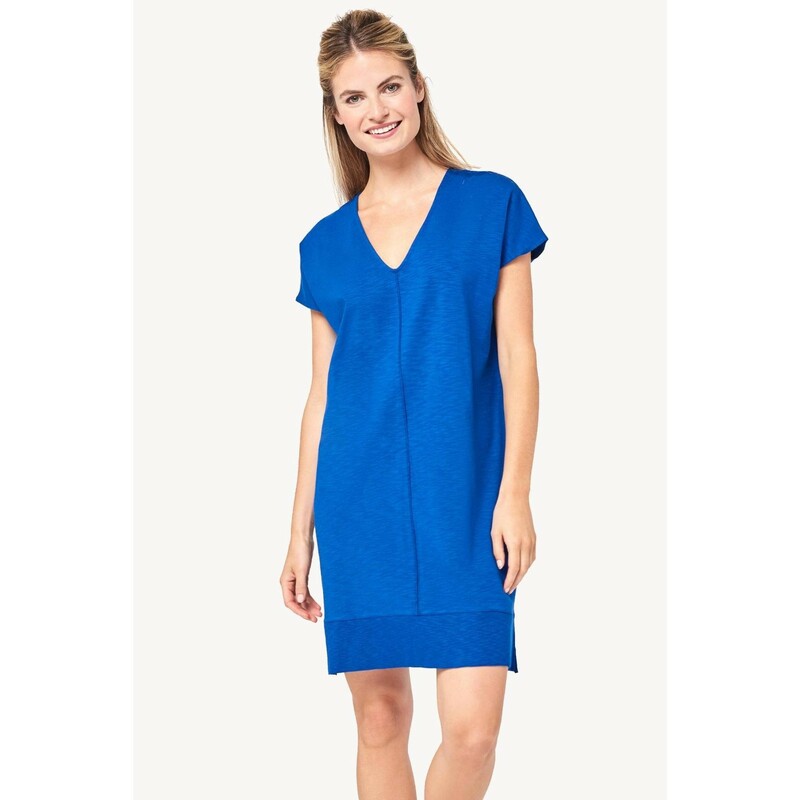 Lilla P Rib Trim Dress (Cobalt) Dresses at Blush, Ltd.
With dropped shoulders and a rib trim, our slub cotton and modal blend fabric has just the right amount of stretch. This fabric has a slightly heavier weight so it feels substantial and it holds its shape beautifully. The fit is easy and relaxed and hits above the knee. The length is 36" on a size medium.